It might surprise some people, but I have never been to a spa on a break and had an all out pampering session. I have visited one or two places for a facial, a massage and a pedicure but I have never experienced the whole thing. I have an incredibly busy and stressful job and am often feeling tense and stressed. That stress and tension lie in my shoulders and lower back which is often agony, so I should find more time to relax and take care of myself. This week my inbox has been packed full with offers and money off deals for Valentines Day and the one gift that most of those emails mentioned were a spa break, all of them offering different types of deals and treatments trying to tempt me in. As a blogger, I do of course pamper myself at home and there are many products that I can use to do that and sites that I can get advice from and purchase items. Ellison's supply wholesale beauty products to spas which help to create the perfect spa experience because the products are just as important as the treatment itself. This got me thinking if I could create my perfect spa day what would it be like? Well, this post is inspired by many friends and some Bloggers who have shared their stories in print and in the video on their experiences on a Spa break and I have looked at some of those offers which landed in my inbox. So, my perfect spa day would hopefully be with a friend that I could enjoy the experience with and have some well earned girlie time and a catch-up, I have many friends whom I haven't seen for absolute ages, so the chance to catch up would be amazing and what better way to do it. The first thing I would love on arrival is to be greeted with a glass of Prosecco and the chance to relax and unwind with access to all the facilities especially the steam and sauna room, having travelled to the destination, the chance to shower, relax and unwind would be absolute bliss. 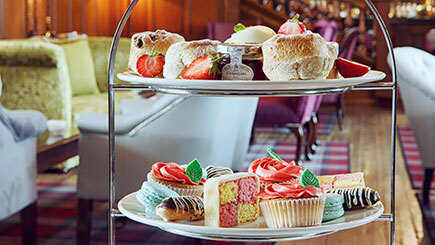 Having relaxed, it would be time for Afternoon Tea which of course I am a big fan of. Over tea, my friend and I can have a good old catch up on what has been going on in each other lives. After tea, I would love to have a full on body exfoliation and mud wrap which would let just lie back and relax, taking in the atmosphere of the spa. I like the idea of a mud wrap removing and eliminating toxins in the body but in a non-evasive and de-stressful way. Then as the mud sinks in, the chance to receive a relaxing face and head massage might just send me off into a relaxed sleep but would be much welcomed. Once the treatments had finished it a glass or two of bubbly over a manicure or pedicure would also be a final treat to send us on our way back home to reality. I just adore a good spa day!!! We have a group of friends who go every few months. It's great fun! Oh how I long for a spa day, I will be lucky if I get time for a quick 5 min face mask at home. One day I will treat myself to a wonderful spa day! I would LOVE a spa day!! The closest I get to a spa is a quick shower! I am totally with you on the afternoon tea - I think us girls should take more time out to enjoy pampering ourselves - it's a great excuse to try new products as well. I wouls love a nice spa day! It has been years since my last visit. Ahhh your spa day sounds very close to my ideal spa day - I wouldn't be fussy at the moment though, I'll take anything that comes my way. Even if it's just a soak in my own bath tub with a few candles. I have never been to a full on spa day, would so love too! Your ideal spa day does sound perfect makes me want to go, im so ready to relax!